Toyota's 2015 Highlander is one of the best all-around family vehicles you can buy today. Bring the kids and take one for a test drive at Lipton Toyota of Fort Lauderdale, FL, conveniently close-by if you live in Weston, Deerfield Beach, or Hollywood, FL. Hyundai tried hard to make the 2015 Santa Fe just as good, if not better than the Toyota, but it just couldn't quite reach that level. 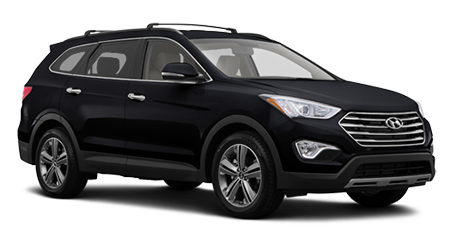 If you are looking for a 3-row crossover with a fuel efficient 4-cylinder motor, you are out of luck at Hyundai. The new Santa Fe has split into a 2-row Santa Fe Sport with 4-cylinder power, and 3-row Santa Fe with V6 only. Toyota still offers you the option of a Highlander with 2.7-liter 4-cylinder, seating for 8, and EPA mileage of 20 mpg city/28 highway. Another important distinction between these 2 family sized crossovers is their number of passenger seats. Toyota gives you room for three in both the 2nd and 3rd seats, while Hyundai limits you to just two in the 3rd seat. This can be the difference between everyone riding together, or having to take 2 cars. 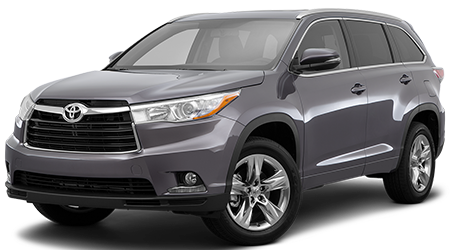 For an affordable family hauler that doesn't feel at all budget, check out the 2015 Toyota Highlander. Lipton Toyota has the whole Toyota Lineup, from the Yaris to the Sequoia, and we are ready to make you a killer deal in out Ft. Lauderdale Showroom.